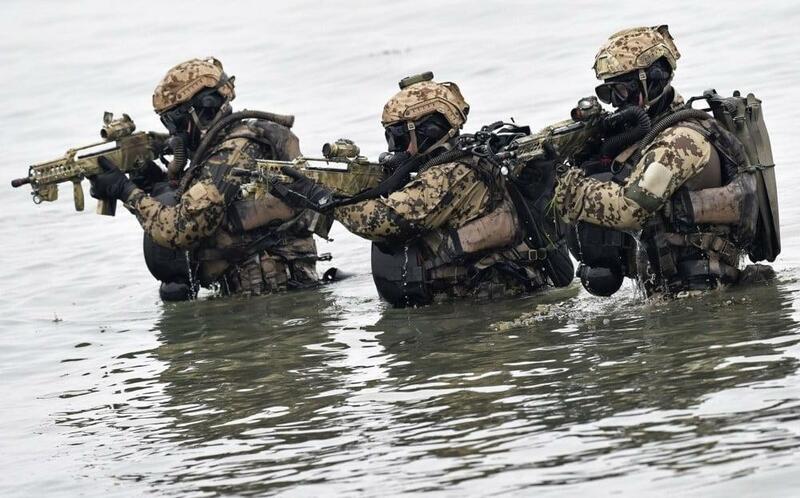 The Coastal Rangers are an elite special force from Sweden and they are part of the Amphibious platoon in the Swedish Navy. Their main role, in the event of war, would be to retake islands and parts of the Swedish coast from the enemy. The Coastal Rangers, in Sweden known as Kustjägarna, undergo a rigorous training and selection process and they are one of the most highly trained units in the Swedish Armed Forces (SAF). The Coastal Rangers are equipped and trained for insertions from the sea, mostly using a boat called Warboat 90. The special-made boat is 15 metres long and capable of speeds over 35 knots. It can stop very quickly indeed – from 35 to 0 knots within 10 metres! The Coastal Rangers are also trained for silent insertion with a special-made canoe. The Commando selection to become member of the Coastal Rangers includes a forced march (6.5 kilometres with 20 kg pack to be completed in 42 minutes), and a steeplechase course over water and land across 65 kilometres with a pack. The Ranger course includes an endurance march with full pack and canoeing 200 kilometres in 48 hours. The Attack Divers course at the Coastal Ranger/Commando School (Kustjaegarskolan) lasts nine months. It includes diving using the Aga-Oxydive close-circuit systems. One of the last major tests the divers have to pass before graduation is a two kilometre swim between different islands, which must have an accuracy of 10 metres from start to the end point. The Coastal Rangers are equipped with a wide range of modern weapons, very similar as world’s most elite forces of similar purpose. Most common is the Swedish AK5 (a highly modified FN FNC) with underslung Colt M203 grenade launcher. 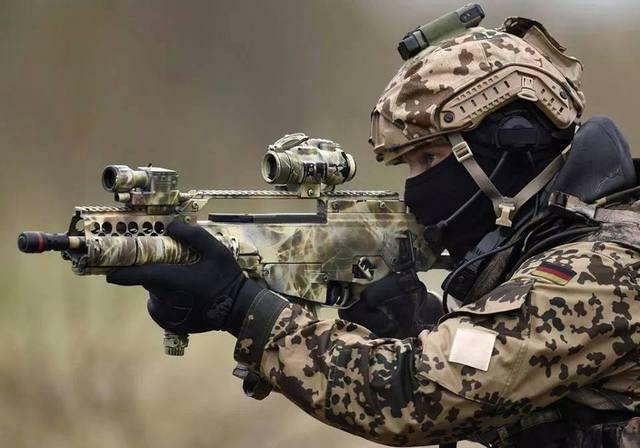 They also use the AK4 (Heckler & Koch G3) as well as the KSP90 (FN Minimi LMG). Officers can in addition use the Glock 17/19 semi-auto pistol. They also have available a range of anti-tank and anti-aircraft weapons. The Coastal Rangers was created in 1956 and modeled after the British post-World War II marine commando forces such as the Special Boat Service (SBS) and U.S. Underwater Demolition Teams, with the objective to create a highly mobile force which had the flexibility to operate behind enemy lines and conduct raids against an invading force in the littoral areas of Sweden. The Coastal Rangers was during the late parts of the cold war used mainly as a very highly trained light infantry/commando unit whose main tasks were amphibious landings and assaults. 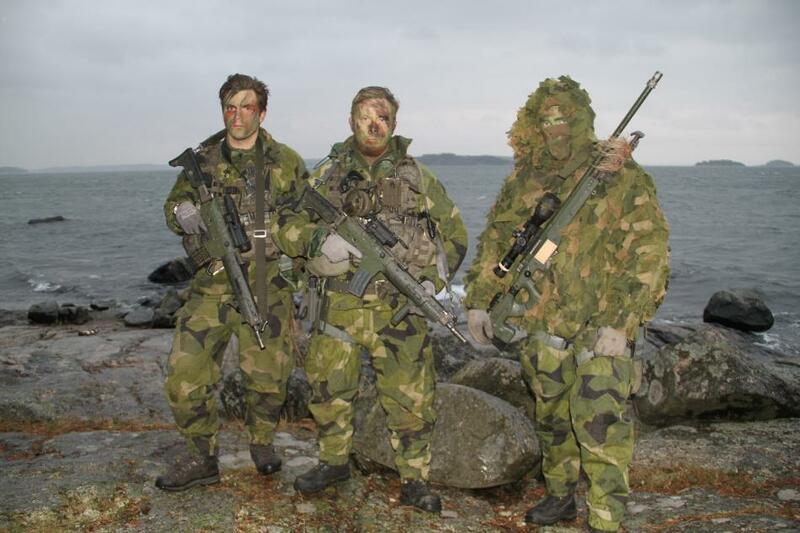 Like the United States Navy SEALs, the Coastal Rangers / Kustjägarna also have the trident as their insignia. During their training, the Kustjägarna are also awarded a green beret just like in the US Special Forces and the Ranger tab just like in the United States Army Ranger School.